Beep! Beep! Beep! My alarm starts going off right in the middle of my deep sleep. Although I wish I could just close my eyes and head back into my dream, getting up at the right time every day will help start a routine, ultimately making you feel better throughout the day. If you choose to hit the snooze button in the morning, it will not necessarily mean you will wake up fully refreshed just from a few more minutes of sleep. Believe me, I have tried hitting snooze a couple of times, but I just ended up feeling worse and sleepier than I did the first time my alarm went off. Hitting the snooze button will start affecting your daily life by being irritable with a loss of coordination and concentration. 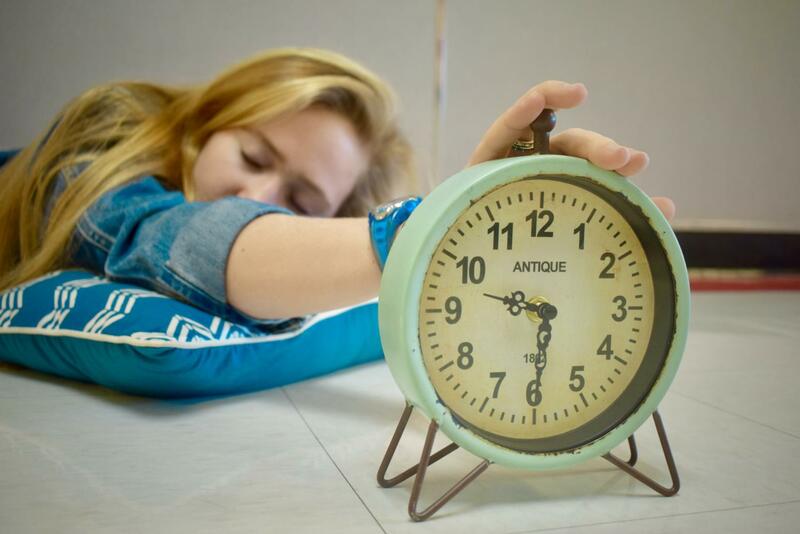 Once you start college, it will not be in your best interest to keep on hitting snooze when an 8 a.m. class starts creeping up. Once you hit the snooze button the first time, your body wakes up but then falls back into a deep sleep, causing you to feel even worse when you wake up the second or third time. Starting a habit of waking up when your alarm goes off the first time will make you feel much better throughout the day because a regular morning routine will improve concentration and productivity. While I know how tempting it may be to just shut your eyes for a little bit, I realize how important it is to get up and start getting ready for the day. In order to seize the new day, you should not be delaying it 5, 10 or even 15 minutes. Though being a teenager will make you tired from all the homework and after school activities, the best decision to make in the morning is to not hit the snooze button. Let’s begin with the fact I am not a morning person – at all. When the sky is still dark, and the morning birds are still nestled in their nests, my wish is to be deep underneath my covers, fast asleep. It’s a dreadful feeling when my alarm goes off at 6:30 a.m., and I’m comfortably tucked into my covers, unwilling to budge, yet the persistent buzzing continues merely three feet away. The only way for me to eliminate the retched noise is to get up, and every fiber in my being refuses to do so. Even so, I fight my urges and roll out of bed to begin my morning. People tell me time and time again that hitting the snooze button is a bad idea. I don’t see what the problem is. I take precautions to ensure I get up. My first alarm is set for 6:30, and I make sure and set a second one for 6:35 in case I turn off the first. The only thing happening in those five minutes is my tired body receiving a little extra rest. No harm, no foul. David Dinges, chief of the Division of Sleep and Chronobiology at the University of Pennsylvania, claims the ten minutes between your first and second alarm can actually be a great time to slowly wake your mind up. He agrees falling back asleep isn’t healthy which I don’t necessarily attest to, but he does believe it is vital time for your body to adjust to the day ahead rather than popping right out of bed. In conclusion, don’t be worried if you groggily roll over and whack the snooze button early in the morning. Just prepare yourself the night before and set a second alarm to make sure you keep yourself on track. Also, take the time between alarms to stretch and awaken your mind whilst still lying in bed. I mean c’mon, a little extra shut-eye isn’t always a bad thing.